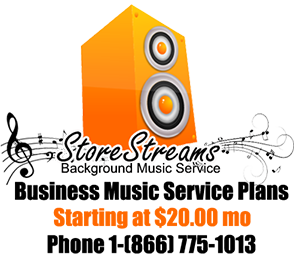 The StoreStreams Business Music Player plays music or streaming radio feeds directly from the internet over your commercial business music system. Most business music systems include 70 volt amp and speaker solutions, stereos and phone systems. The StoreStreams ASP-100 is the ideal business music player for medical clinics, hotels, restaurants, bars and retail locations. The ASP-100 has the ability to stream over 50,000 internet radio stations worldwide with high quality digital sound for your listening pleasure. Please keep in mind that if you are a commercial retailer or business in the United States or Canada you will need a legal music subscriptionn service like StoreStreams to provide you legal music channels for your business. Whether you run a medical clinic, bar, restaurant, hotel, or any other kind of business, the StoreStreams ASP-100 business music player is the perfect solution for you. Connecting the ASP-100 to your existing business music system or stereo is a quick and easy process. The ASP-100 is a simple plug in play device. – You simply plug in the RCA cables to you amp and the ASP-100. – The internet cable to the modem and the unit. 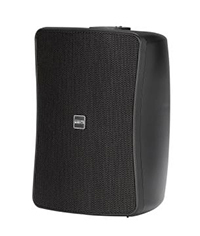 The ASP100 can automatically start streaming your background music. Please note that if you purchased your business music player from StoreStreams and have a StoreStreams business music subscription the feed will start playing immediately. In addition to playing over your stereo, the StoreStreams Business Music Player can connect to your phone system, providing just the right type of music while your clients, peers, and customers are on hold to keep them engaged while they wait. The StoreStreams Business Music Player streams internet radio in a pure digital format without static or interference. The high-quality audio is clear, crisp, and full, providing an unmatched listening experience. Please keep in mind that if you are a commercial retailer or business in the United States or Canada that you will need a legal music subscription service like StoreStreams to provide you music channels for your business. 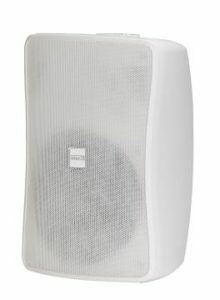 Designed in Korea and specifically for In-store Radio Background Music Applications, Internet Radio, Entertainment and Broadcast applications alike. The MA-106N/110N is a 1U compact 3-input channel 60W PA Mixer Amplifier. Ideal for use in a small place such as the classroom, training center, restaurant, and cafe for both BGM playback and public address. Powered by a high efficiency class D amplifier topology, this amplifier offers high reliability, light weight, high energy efficiency, low power consumption and low heat dissipation. The PMU-60N/120N/240N are 6-Input 60/120/240-watt mixer/amplifier with a built in digital media player that will playback MP3 / WMA audio files using the front panel mounted USB-A port. Music can be played directly from a USB memory stick without the use of an external playback device such as CD player. The PM series offers input flexibility with its 6 flexible microphone and line level selectable inputs. Direct PC USB audio input is possible via the built in USB PC sound card. Listening to internet radio is now possible without the use of a computer or Smartphone. A direct network connection makes the PMU series amplifier great for BGM applications that receive their audio program via network, LAN, WAN and internet TCP/IP or RTSP. The PMU is also compatible with Inter-M AOE-212 Audio over Ethernet transition allowing for original content audio programs or paging to be distributed over standard network to one or many PMU amplifiers in a building, school or campus. 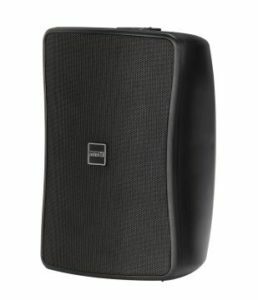 Input options include 5 selectable microphone or line level, a telephone and a dual RCA sum-to-mono. The A front panel 1/8″ mini-jack makes it easy to plug-in a portable music source. Detachable Euro bloc connectors are available for inputs 1,2 and 3 for easy wiring on the job site. A large 2.8’’ Color LCD displays the operation status as well as USB MP3 song title, artist, album art and output Level. 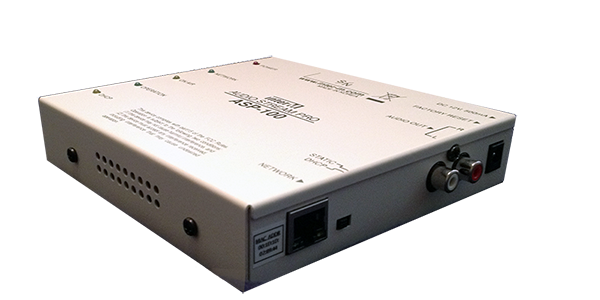 The PM series uses SMPS, Switch mode power supply for added energy efficiency in a compact size. SMPS-Switch mode power supply provides high efficiency and low weigh. Among their advantages is their reduced physical size and lower heat dissipation. SMPS offer power efficiency and reduced power consumption over traditional amplifiers. The master output volume can be remote controlled using the VCA terminal. This feature is ideal for Hotel meeting rooms, Bars and restaurants. The PMU-60N/120N/240N series mixer-amplifiers provide outstanding value and functionality for installed sound applications in a wide variety of commercial installations including: Education, Fitness Centers, Retail, Restaurants, dance studios, and BGM. The network audio connection makes the PMU series amplifier great for BGM applications that receive their audio program via network, LAN, Wan and internet TCP/IP or RTSP. The PMU-60N/120N/240N are 6-Input 60/120/240-watt mixer/amplifier with a built in digital portable media player that will playback MP3 / WMA audio files using the front panel mounted USB-A port. Music can be played directly from a USB memory stick without the use of an external playback device such as CD player. The PM series offers input flexibility with its 6 flexible microphone and line level selectable inputs. Direct PC USB audio input is possible via the built in USB PC sound card.